Last week, I told you about Sean Hannity’s Freedom Concert scam and how the ultimate recipient of some of the proceeds, Freedom Alliance, spent millions on cronies and expenses, very little on severely wounded soldiers and scholarships for America’s fallen. In fact, it’s far worse than I originally reported. The scam is far bigger. And it’s big business. . . . for cronies and friends of Sean Hannity and Oliver North. I’ll be writing more in the coming days about the Freedom Alliance, itself, and where the money the charity receives is really going. In fact, despite the written denials of both North and Freedom Alliance chief Thomas Kilgannon, Sean Hannity did NOT pay for his own private jet flights to the various Freedom Concerts. In fact, the money for his expensive travel came right from the revenue of the Freedom Concerts, a big, profitable business, which isn’t owned or operated by Freedom Alliance. While the charity is technically correct that Freedom Alliance didn’t pay for it in recent years, in fact Freedom Concert revenue, which is controlled by Hannity’s speaking engagement agents, did. The operant question here is, who owns the Freedom Concerts? The answer, according to an insider, is apparently Premiere Speakers Bureau, owned by Duane Ward, Oliver North’s longtime PR man, and the speaking engagement agent for both North and Hannity, as well as many FOX News and other conservative personalities. Premiere runs the Freedom Concerts and owns the FreedomConcerts.com domain name, sells the Freedom Concerts merchandise, etc. While only a $4 surcharge on Freedom Concert tickets goes to Freedom Alliance, the rest is controlled by Ward and his various companies. I contacted Duane Ward via e-mail (duane@premierespeakers.com) and telephone. He did not respond to questions, which included a request for Freedom Concerts’ financial records and an accounting of Freedom Concert revenues and Premiere travel arrangements for Hannity to fly in high-style to the events. And the inside source–who asked to remain anonymous because of legitimate fears of retaliation by Ward and Hannity–says it’s a huge profit center for Ward and Premiere. I called Freedom Alliance and asked them about it and was told that they–Freedom Alliance–weren’t affiliated with this particular event, even though North would be there. So where did the money go? Ask Duane Ward. The man needs to release a full accounting and all the financial records for these concerts. While those buying tickets think all of the proceeds of the concerts go to the Freedom Alliance, in fact, none of the proceeds go to the charity, only the $4 surcharge. The source confirmed that Premiere paid for Hannity (out of Freedom Concerts revenue) to fly to many of the concerts on private jets, along with his entourage, and the source confirms the conversation I described in my report last week, in which North scolded Hannity for wasting so much of the Freedom Concert money on private jets, swanky suites, and luxe SUVs. The source is the second source to confirm the conversation. The particular conversation cited took place in 2008, and there were several witnesses to it, including one of Hannity’s radio producers, who is married to Oliver North’s former personal assistant. Don’t look for her to tell the truth . . . if either of them ever wants to work again. The source said that North scolded Hannity about this on several occasions, and is, again, the second such witness to confirm that. North won’t publicly admit to this–and knowingly signed a false letter claiming that Hannity pays for his travel and accommodations for the Freedom Concerts–because North makes big bucks from Premiere Speakers Bureau. Premiere books North for several speaking engagements a month, at $30,000-$40,000 a pop. That’s where he makes his money, and is extremely wealthy because of Premiere and Ward. He can’t afford to kill the golden goose. The source said, however, that I got two tiny details wrong: that Hannity didn’t only fly on Gulfstream 4 or 5 jets, but oftentimes flew on Embraer Legacy 600 private jets. (Hannity usually flies these private planes out of Atlantic Aviation on Long Island.) Also, that Hannity didn’t always use Cadillac Escalades to ferry around his posse. Sometimes, it was the comparable Yukons, Tahoes, or Suburbans. My bad. The costs add up to hundreds of thousands of dollars, and according to the source, Hannity pays for none of it. In fact, the source said, frequently Premiere asks those who book Hannity for speaking engagements to pay a set amount of money for travel up-front. Since Hannity almost always insists on a private jet, Premiere tries to increase the set travel fee, then save money on the travel and someone–Premiere or Hannity–pockets the rest. It’s not returned to the sponsor of the speaking engagement. So, who is Duane Ward, exactly? Ward has several companies under the Premiere banner, including Premiere Transportation, which provided campaign buses for nearly every major Presidential campaign in 2008, including those of Barack Obama, Hillary Clinton, John Edwards, and Mitt Romney. And it provides the buses–shocker!–for the Freedom Concerts, when, for example, it’s a short ride from Hannity’s New York location to the Freedom Concert that took place in New Jersey. And Ward owns something called “Premiere Collectibles,” which includes all of the licensed “Freedom Concert” t-shirts, rain ponchos, etc. sold at the concerts (note Oliver North’s book, “American Heroes,” for sale on the site . . . and click on it to see his phony video pimping it). The source says it’s big money, and that it’s also big money for the conservative personalities who appear at the concerts and are provided booths where their books are also sold at the concerts. And then there is Premiere’s scamming of the artists who appear at the Concerts. Premiere signs the artists to appear at the concerts. The source says that some of the talent, like at least one artist I know of who’ve appeared at the concerts, are told by Ward’s Premiere employees that since the proceeds are “going to charity,” they are expected to pay their own travel and perform for free. At the same time, other artists, like Montgomery Gentry–according to the source, are paid an appearance fee and luxe travel and accomodations are provided. The source estimates that Genty was paid $50,000 to perform at one Freedom Concert, while the source believes that Michael W. Smith performed for free. The scams are so deep and so large that Freedom Alliance, the charity that benefits (and also wastes a good deal of the money on expenses and spending on cronies) did not allow media coverage of the Freedom Concerts at one point. When I was a teen working in Washington during the summers, I helped organize a giant rally in support of Oliver North during the Iran-Contra hearings. It was a huge success and made Newsweek and Nightline–then big media outlets because cable wasn’t that powerful yet and there was no internet. I thought North was an honorable and decent man who cared about his country. But his signature on a letter from Freedom Alliance denying what he knows to be true–what he scolded Sean Hannity about in front of witnesses–tells me what I should have realized long ago: that I was naive about Oliver North, that he’s dishonest, and that he’ll go out of his way to protect his friends and cronies and cover up their wrong-doing. And that continuing to make big bucks is more important to him than telling the truth. 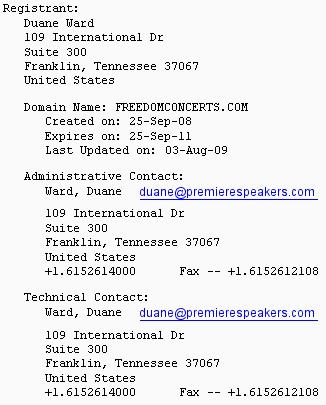 Regardless, both Freedom Alliance and Premiere/Duane Ward need to release a full accounting of all revenue taken in and spent in connection with the Freedom Concerts. Where is the money . . . and where did it go? We’ll probably never know. But I have a pretty good idea. And I know for sure most of it is going to line pockets, not help severely wounded troops or children of the fallen troops. I love how knee-jerk Hannity’s supporters are. They have not read the article because they keep siting the Charity Navigator site even though you mentioned it in the article. I only wish you could get the cushy radio job and the millions he gets for your hard work. You do more for the country and conservatism in a day than he has ever done. We conservatives need to clean our house before moving forward. This is a good start. Do tell. Eh, actually I’m not surprised. He has a lot of young women on his television and radio show. Sean Hannity, “you’re a great American….A–hole! Debbie has done us ALL a great service here by taking the veil off the Freedom CONcerts. Read that list of the Fox cronies on the speaking circuit and understand why the wagons are circled on this “Freedom-gate” con/scam. Trading on the heroism of our wounded and killed soldiers for this kind of profiteering is the lowest of the low. It’s lowest because of the way the profiteers have made a living decrying the abuses of the lefties–Pelosi, Reid, Kennedy’s, etc etc. Webling is correct, it’s up to us to get the word out there. Vaccinate our friends to these scamming CONs, who make being “conservative” a cloak for their profiteering. I am sure that the lib Madcow and Overbite et al, are just waiting, timing their torpedoing of Hannity, and the complicit crony network for the optimal time, just like happened with Mark Page scandal–held until the weeks right before the 06 election. I don’t want to give them too much credit, but, can’t figure out why this hasn’t hit the MSM on PMSNBC and CNN etc. Clean your own damn glass house before throwing rocks. Grow up and stick to skewering the real “Patriotic assholes” using our troops for war profiteering. Any way you look at it, it’s bad business. 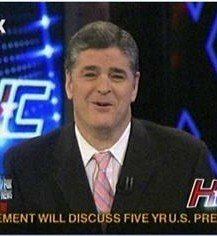 Although I have always assumed his heart was in the right place, I have never seen Sean Hannity argue effectively for Conservative positions on his Fox show. He always seems to offer symptoms instead of underlying principles, which is obviously not an effective stance against progressives and assorted anti-Israel mouthpieces. Now that you have apparently ripped the lid off of his Freedom Concert finances, it looks as though his heart needs fixing, too. Oh well. You write of the $4 surcharge on FC tickets as the only fund that goes to Freedom Alliance, and you are correct that in the case of the July 26, 2007 Chula Vista (San Diego) concert, $4 was set aside for FA. But I believe this was a “guaranteed” amount, and that the actual amount was much more. Since that newsletter was published BEFORE the 2009 concerts, that means that over the six prior years (2003 – 2008) the concerts raised an average of $1.5M/year. There were five concerts in 2007, so let’s say the average payout to FA is $300,000/concert. The Coors Amphitheatre (now called “Cricket Amphitheatre) seats 20,000. At $4 surcharge per ticket, that’s $80,000. How do we explain the other $220,000? WHERE: COORS AMPHITHEATRE IN CHULA VISTA, CA. The $4.75 “facility fee” not the cost to rent the facility, but most likely a city imposed tax, somewhat similar to a hotel tax. I have not been able to confirm this on the Chula Vista govt. website, but I did find a mention in a newsletter of a “public facilities fee” that was imposed to pay for new police station. So, on an “average” $50 ticket, we’re looking at $37 going to the “gate” ($50-$4.75-$4.25-$4). For 20K seats, that’s $740K gross. Now, let’s subtract rental of the amphitheatre, liability insurance, venue security, [union] stagehands, venue staff, transportation, lighting, sound, etc. And if the headliners themselves donate their performance, what about the band and backup singers? Don’t forget to pay the concert organizer (may or may not be a Premier employee) and their staff. Finally, throw in a private jet, an Escalade Limo and a luxe hotel for Hannity. All that could eat up $400K – $500K, leaving $240K – $340K profit. Finally, the Coors Amphitheatre was one of the larger venues on the five concert tour. Some of the arenas seat about 10,000, so with similar ticket prices, the gate would be about half of the example above, and using that $4 figure in your article, would only generate $40,000 for Freedom Alliance. Assume a mix of 2 amphitheaters and 3 arenas. That would mean that FA would get only $280,000 for the whole five show season. Yet FA reports an annual average from the concerts of $1.5M. Obviously, they are receiving much more than that $4/ticket surcharge. Dave in Reno’s concert math is way wrong. As “someone in the business” and very familiar with this situation (Duane Ward, Oliver, and the whole bunch), I assure you the facility costs you state are way higher than actual, and way less money goes to Freedom Alliance. (By the way, the $4.75 Facility fee – that goes straight into Live Nation’s pocket, the owner of the facility. Freedom Alliance isn’t going to say anything bad as Sean is their only bread and butter. geez Dave in Reno..Don’t you think Freedom alliance should release the records and settle this whole thing? Till than we all should be posting this story EVERYWHERE! First, you should probably start looking for another job. Hannity will get pro bono law services from the elite anti-semitic law firms. AFter all, they help the Guantanamo Detainees and all the other scum, so they can be expected to help Hannity, as well. And what was the revenue? Average price of about $60 per concert x 15,000 people x five concerts, using your numbers? Close to $5,000,000 per year if there were five concerts, but close to $8,000,000 if there were eight concerts. And the GIs got $300,000? o v e r h e a d.
Used car dealers do this all the time. When they charge exorbitant rates for service they have listings of all the overhead expenses. Thing is, they don’t say specifically how much each expense is, or what specifically it is comprised of, both crucial questions. There is tremendous variability in both the amount and the content of overhead expenses, and as Debbie said, a specific accounting, traceable to supporting documents such as invoices along with complete transaction trails (as isolated invoices can be falsified or distorted) is needed to know what exactly is going on. But with the decline in Government Motors and Chrysler sales, I guess law opportunities with the car companies are declining, so you figure it is best to stick with Hannity. Or maybe you can get a job with a leading accounting firm like Ernst and Young. They sure did a great job on Lehman. Never been audited by the IRS? Well, in that case, there’s no way I can challenge you. Clearly the mark of laser accuracy. The crooked accounting firms usually aren’t audited either. Your comments about not being an attorney/CPA are unverifiable and of course, therefore worthless, as are your statements about your political beliefs. $260,00 in ‘fees? Duh, are those something like ‘miscellaneous expenses’? Some number pulled out of a hat? Who do the fees go to? What is the difference between ‘fees’ and ‘expenses’? If you used to live in California, being subjected to their socialist taxes, you know there really isn’t much difference. So ‘gross’ is after $260,000 in ‘fees’ whatever those are. $33 x 20,000 = $660,000, not $720,000. All the costs of putting on the show? Sounds like the car dealer who blithely says that prices are so high because of ‘overhead’, but of course they don’t itemize specific overhead expenses. $1,500,000 per year? Using your numbers (which I also used), 5 concerts x 15,000 attendees each is 75,000 attendees, x $50 admission, or $3,750,000, so by your own numbers, 40% going to FA. So even accepting all your premises, 40% going to the concerns, and 60% inefficiency, but of course, none of this is verifiable. Who really knows what overhead expenses are being sucked dry once the money reaches the Freedom Alliance (sic) even assuming these numbers are correct? And this wouldn’t be the Scholarship Fund (sic) where money is being stashed away, eaten each year by its own expenses and ‘fees’, would it? Debbie should contact concert promoters to see what the fees are? If you bothered to read what she wrote, she explained that these creeps with FA didn’t return her calls, seeking specific information. Seeking data by analogy is one of the weakest forms of verification. Back to used cars; Dealer A sells for $10,000, and gouges a 120% profit; he says, ‘oh my, dealer B sells for $12,000, and dealer C sells for $13,000 so I am not making any profit. Poor logic; you have to look at the specific costs of the FA, not what some other crook in the business says are the expenses. 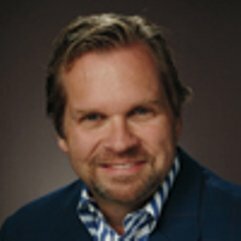 Re your questions, Glenn wrote a week ago that we need to see the actuarial assumptions of this fund, and evaluate them critically, as actuaries have tremendous leeway in making their assumptions; slight differences in interest rate assumptions have tremendous compounding implications over time. Concurrently, the fund keeps growing while more and more concerts occur, the US combat population in Iraq and environs diminishes, and disabled troops probably have fewer children than the average. And you’re probably the person who wrote last week, because like this person, you speak of college only in terms of tuition, when that is just a portion of fees, and subsistence doesn’t go away when someone enters college. DiR, these points are stale and have been answered several times by Debbie. Your qualifying phrase ‘after expenses’ is telling. Just like the movie studios that don’t show profit ‘after expenses’. As an expert in reading SEC statements I’m sure you know (but I’m emphasizing it for the benefit of others) that ‘expenses’ are not a static category. They are essentially a catch-all in financial statements (even those of so-called charities) for whatever someone wants to put in there, whether they are efficient, inefficient, payoffs to buddies, or whatever. The expenses do have to be looked at concretely; there is no other way to assess this, and as I showed, a max of 40% goes to the fund, to be frittered away further; Debbie also points out that the revenues you used don’t include other incidental sales at the concerts; these would lower the percentage even further, and of course, presence in the scholarship fund is a long step from they’re getting to the proper people. While you do not appear to be a professional pundit like Malkin, Frum and the rest of them, it would be wise for you to be more cautious, and not stake your reputation, even as a blogger on defending these financial shenanigans. Since you study SEC statements, please keep in mind all the real estate, financial and technology scams that the auditors and sophisticated (sic) investors all bought off on. This is childs’ play compared to that. Yessir, you have shown that you really are an attorney, or else you are cheating the ABA out of dues. The central point is the inefficiency of the FA, and the relatively low amount that is being provided to the people it supposedly is trying to help. You have not addressed my central arguments that its efficiency is well below 40%, even assuming that all the scholarship money goes to its recipients. You have not addressed my statements about fund expenses, and their cumulative and compound nature over a multi-year period. You have likewise shown enough insight to retreat from your silly assertions concerning expenses. Unfortunately, you do not respond to my caution regarding actuarial assumptions. 1,600 doubles in five years, even though the number of troops decreases? Even with the surge in Afghanistan? Well, never fear, maybe it will be 8,000 next year, and 12,000 in two years. Without knowing the basis for these assumptions, they are worthless. You still repeat your idiotic assertions about using ‘data points from other organizations. You are pretending to be too obtuse to understand that you need the specific data of this organization; comparability is worthless as I showed in one of my above comments. Would Enron have been nailed using this concept? The accountants who audited them sure thought so. of on the massive inefficiency (to put it charitably) of this organization. The central point is that their finances are opaque and as Debbie said, without looking at the books, both for the fund and the concerts, no credibility can be given to the lame and undocumented explanations of justifiable inefficiency. Why don’t you support opening their books? If you actually lived in California you should understand the value of this. The welfare state of California woefully doesn’t have enough money, wants to raise taxes, has all kinds of tearful explanations justifying this, but without open books, they cannot justify their demand for more money. However, the Scholarship Fund has an insatiable demand for more money, and hiding behind its non-for-profit mask, will not open its books. And that’s another thing with you lawyers (Debbie excepted); you always need to have the last word. I have met some lawyers, and they talk, and talk and talk. The only way to get answers from Hannity, North and Ward is to hold a news conference announcing your findings. If you have veterans willing to stand with you at the conference, let them. Look this isnt that complicated. If Freedom Alliance wants to legitimately defend the organization they need to stop lumping massive amounts of money under the vague term “program activities”. The amounts given for Scholarships and Grants to wounded soldiers is in fact itemized on the organizations tax returns and IS in fact a very small amount of its revenues. The defense offered by Freedom Alliance is that they provide “other” services and programs besides the grants and scholarships. The problem is that none of costs for those services and programs is itemized. It all gets lumped into this “program services” catagory. Be straight up guys and tell us how much and where and when you spent money for programs like support our troops, leadership academies etc etc. If you dont itemize where you spend the money you end of leaving a cloud of suspicion suggesting that you are playing accounting games. Vannity has got beat in the ratings for three days in a row by van susteran. I went to newsbusters they are saying this story has been debunked, in the comments section the hannity hacks are calling schlussel a liberal. Newsbusters won’t let me add my comments. They say david frum debunked this story, the same david frum that mark levin would rail against for hours. I just have to stop checking out these sites like newsbusters it infuriates me and I don’t want to deal with that emotion. It is truly despicable to read these right wing propoganda hacks I wish them all the worst. Duane Ward and Frank Breeden both making loads of money off these concerts. Sean is at “arms length,” so tough to know his take, but Duane and Frank are in it for themselves and not for any “charitable” reasons….. It seems to me this story has hit a dead end. I hope more comes out but when your going up against a monster like murlock you got to have a ton of connections. On the positive side hannitys gotten beat by van susteran everyday this week in the ratings. He consistently loses around 40 to 45 percent of oreillys audience. Its higher than usual. I still can’t figure out why people watch glen beck. Everyday his show is the same thing. No guests because his egos so big, talks into a teleprompter about progressives. Its pathetic. At least vannity has guests. Stop the sound bite journalism. It’s getting ridiculous. Anything can be taken completely out of context. i’m not sure if this has been covered in any of your posts, but here’s a video talking about how freedom alliance is selling the personal info of its contributors. I’m glad to see the left has stooped so low as to throw punches at a man for charitable work because of his political alignment. I have look on charity rating site. 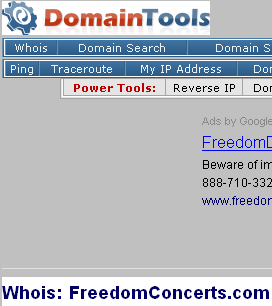 Freedom alliance the rating site says that 3% of the income is donated to verterns and 97% is used to cover expence and saleries. How can anyone call Freedom alliance a charity??? Debbie should contact concert promoters to see what the fees are? It took you this long to realize that North was a crook? Did you have any problem with him help broker weapons deals with Iran? But, he’s a big conservative hero because he didn’t sell out Reagan. He just sells out himself now. Sickening…when I think of my 17 year old son…who came back changed from war—– having spent his so called college years (4 years to be exact)fighting on foreign soil. I will never see Hannity the same. How can they do this and have a conscious…they are all so full of themselves. Makes me sick. Mr. North I hope will find a new booking agent!!. I feel that I respect Mr. North certainly more than Sean Hannity who just gets paid to talk—that’s all he gets paid to do. At least Mr. North has fought in the trenches and knows what it is like to be a soldier…but I am disappointed to hear this about Mr. North. Oliver North has always been out for one person — Oliver North. He used his Marine Corps uniform as a prop to testify before Congress to portray himself as a patriot and a person who could benefit from the kindness of other patriots. He has ridden this horse his entire adult life. Hannity is out for one person — Hannity. When did he ever sign up to be in uniform, although he talks a big line about patriotism and service to the country. He benefits from the tax breaks of the Bush years, but he tries to get his radio audience to think they also got the tax breaks and that they should be working to preserve the breaks that only Hannity would get. Hannity, meanwhile has pledged the proceeds from his most recent book bashing Obama to the Freedom Alliance. Is this payback, or paying off people for their silence? Sleeze begets sleeze and this group is would be a good representation of a room in Hell in a Sartre play. Everyoone calling Mr. Vannity calls him an “American Hero”. But are these concerts a way to gloss over his failure to step up and actually serve his country in the military? The guy is a jerk and I hope we get to the bottom of this. Oliver North knows more about true sacrifice and commitment than most of you people can even fathom. His service to or our great nation is one of the reasons that I decided to serve in military myself. My career was cut short by an insurgents IED, if not for that I would still be carrying on the legacy of the American fighting man. The Freedom Alliance has helped several of my friends and provided scholarships for the children of a comrade that was killed in Iraq in 2006. Sean Hannity and his fellow conservative commentators are the few voices in this country that have intestinal fortitude to give voice to what is wrong with this government, and to unabashedly support our military AND their mission from day one. God bless you Sean and Lt. Col. North. I am amazed at the investigative work that DS does,this will be a major scandal when it all comes out into the public,names will be disgraced reputations will be tarnished and undeservedly conservatism will take a blow….I d lime to think this is the reason why some talent no longer plays at these concerts,the talent is blameless and no doubt they genuinely want to help our troops,Vanity is a pile of turd….Thank you Debbie you are truly the best. Dear Debbie ! Since I am writing an english book on the Moon Empire and its tentacles at the moment, I arrived at the career of Oliver North and the different political scandals he was involved in, when I read everything you published on the scam with the Freedom Alliance and the fundraising concerts that did not go to the scholarships of the children. I thank you for your great research, and promise to inform you if and when my book will be published in the U.S., the UK and other interested parties. In the meantime, when you are interested I will send you more details on the various topics in my book. Looking forward to your reply, with greetings from the Netherlands, Your moonwatcher Henry.